What kind of sparrow is there in Japan? Sparrow is most familiar bird for Japanese people. Because, the most major work in Japan used to be agriculture. Therefore, many sparrows have lived in near our houses together until now. There are 2 Sparrows in Japan. I'll introduce their charms and differences below. Eurasian Tree Sparrow (Passer montanus) is most popular saparrow in Japan. They are called "スズメ (suzume)" in Japanese. They hop on the ground restlessly. Also, they cry "chun, chun!". It's very familiar sounds for Japanese people. In fact, Sparrow's name is used for names of plants. Russet Sparrow (Passer rutilans) is living in some places of asia. They are called "ニュウナイスズメ (nyunai-suzume)" in Japanese. Their habitat is the forest of suburbs. So, there are few chances to see them. The appearance of Russet Sparrow is different between the male and female. The body color of male is orange. The female's one is brown. In addition, female has white line above the eyes. 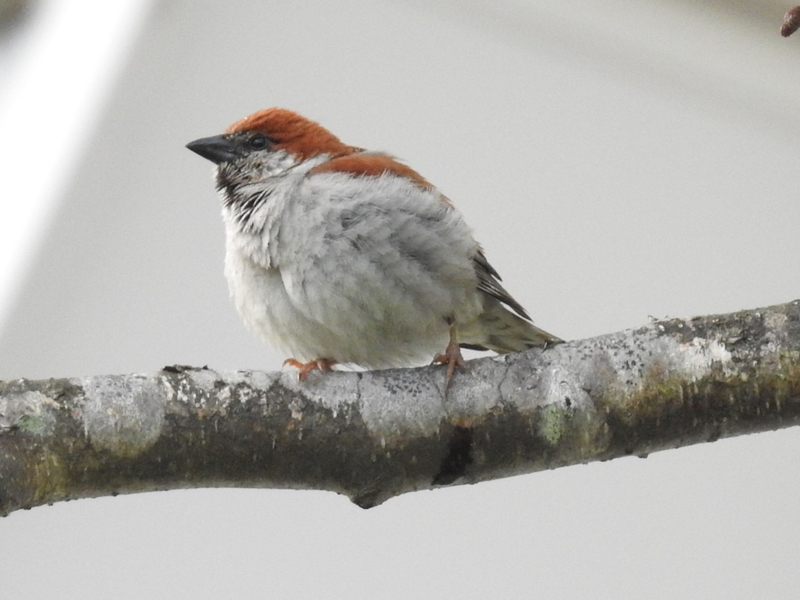 I introduced Eurasian Tree Sparrow and Russet Sparrow. 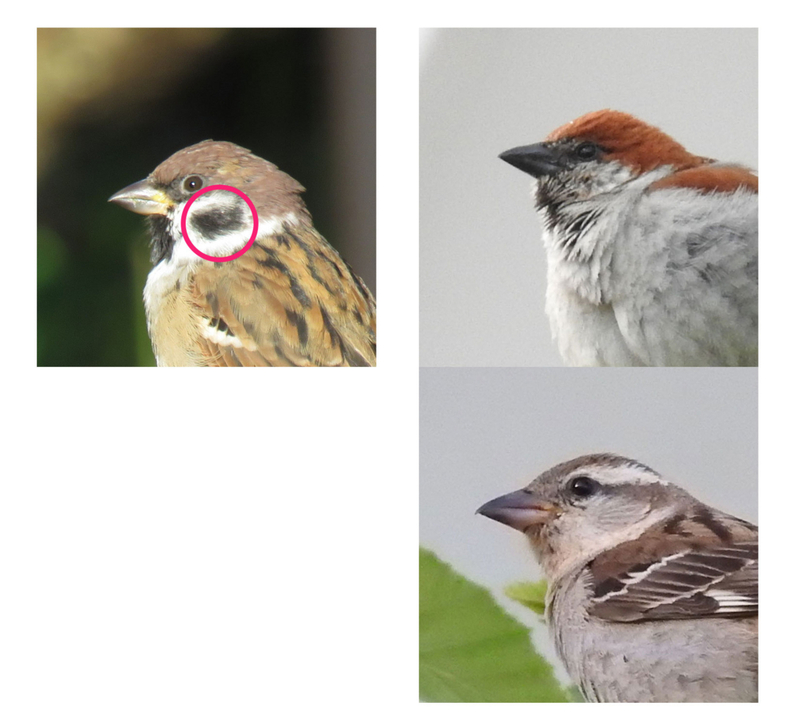 The way of distinguish between the 2 Sparrows is a black point on the cheek. Russet Sparrow's name in Japanese is "ニュウナイスズメ". The origin of the name is this black point. FYI, Eurasian Tree Sparrow has more competitive than Russet Sparrow. For that reason, it seems Russet Sparrow took refuge in the forest. Most commonnest Sparrow in Europe is following species. 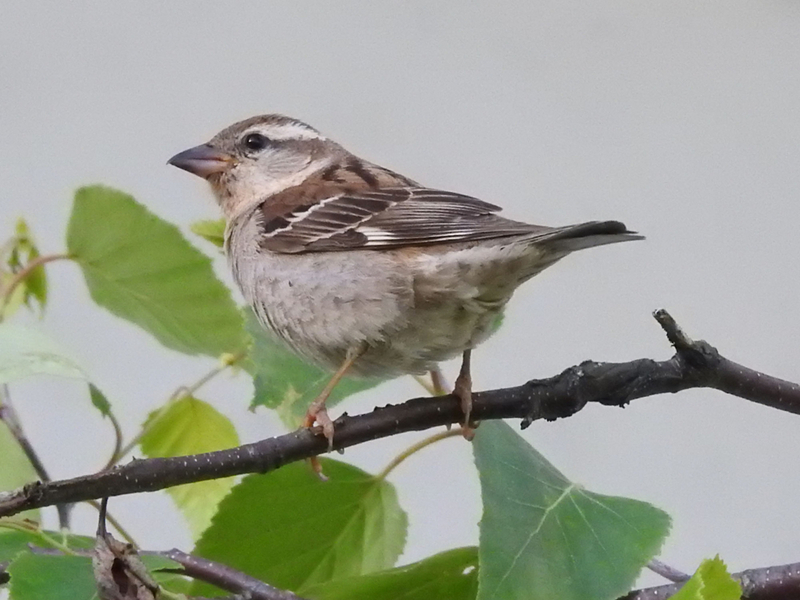 House Sparrow (Passer domesticus) is living in Europe, U.S. and Central Asia so on. They have grey area on the head. 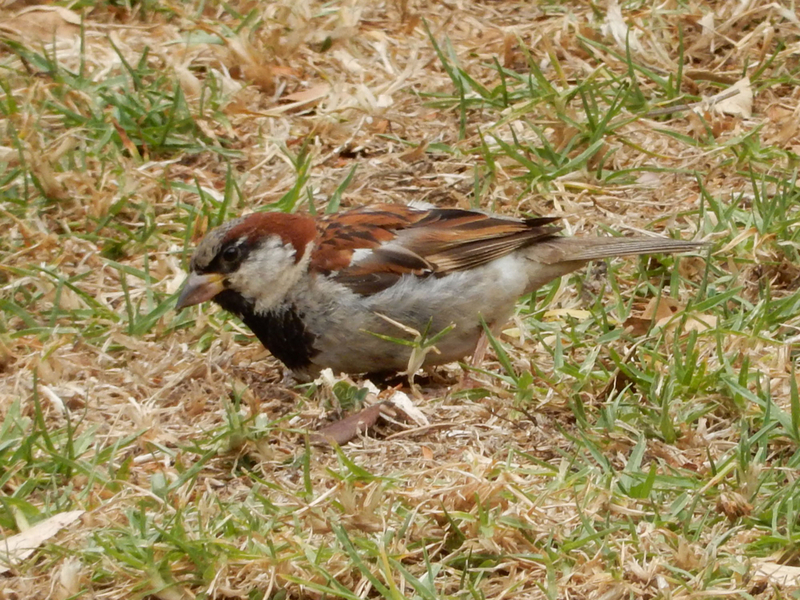 I saw House Sparrow in New Zealand before. 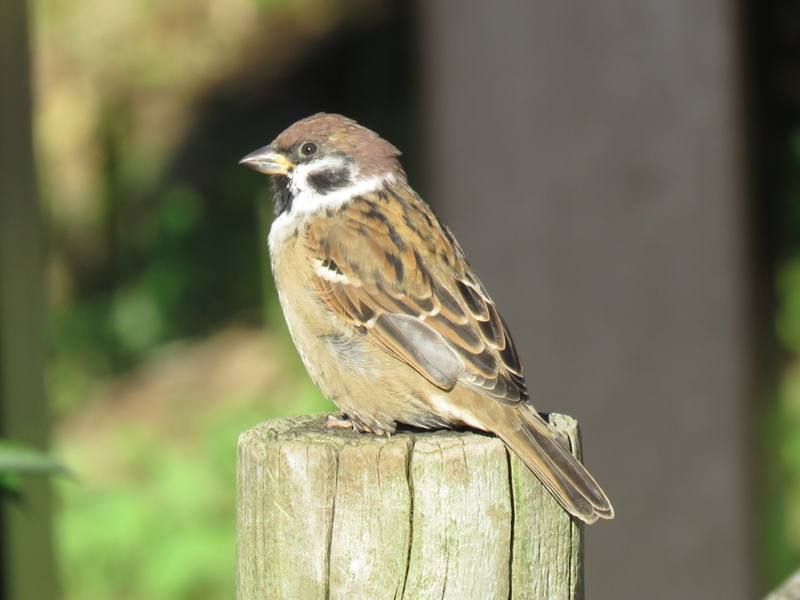 I introduced Sparrows which we can see in Japan. They are very cute! But they are decreasing in recent years because of changing of Japanese lifestyle. I'd like to see them in the future. So, I'm offering their charms by apps and blogs.